GAINS has been developed after a detailed review of Tally’s features. Tally is India’s most popular accounting software product. The top 20 differences are enumerated herein. GAINS has been developed on SQL 2016 with ASP.net frameworks and C# using modern technologies and with no legacy systems. This allows the user interface to be much richer.Both GAINS are Tally are accounting softwares and at the end of the day both give out a TB, PL and BS. However the basic difference is in the ease of transacting and viewing (richer formats, add on formats – pivot tables / graphs ) --- where GAINS scores heavily over Tally (which is restricted because of its legacy systems). Tally has a simple security system of login user and password. GAINS controls access through login-password; secure IP (access only through authorized IPs); time locks ; and 2 factor authentication -- mobile ## validation through SMS (if enabled). It has a full-fledged Role – Task module to grant conditional access. Once a user has logged in he/she cannot access all facets of the software. For e.g. a data entry operator will only be able to enter vouchers and edit vouchers (of self only and team members) today and ‘n’ days before. Access to view Balance Sheet, P&L Statement, Trial Balance or other reports will all be denied. Similarly some personal ledgers would not be visible to users who are assigned lower access privileges. GAINS allows access privileges to be so assigned, such that users may access only some predefined ledgers / group of ledgers / schedules / cost centres ---- which is absent in Tally, wherein access is either completely granted or completely denied. GAINS allows for an automatic pre-configured backup – at pre-defined frequencies. So the database can be automatically backed up (with no manual intervention) daily at both the local server and also on a remote server. This assures a more robust Disaster Management plan. Being a web based system GAINS is truly real time synchronized across multiple sites. At the click of a button one can get a consolidated view of a company / group of companies. If one wishes to know the total Sundry Debtors for branches 1,2,3 – it is very easy to get the said information in GAINS but not in Tally. Tally does not offer real time synchronization of multi branch accounts or a group of companies. Every voucher can have a document attached to it. So for all payments / purchases the vendor’s bill scan may be attached. The original invoice (pdf or alternate format) can be attached with every sales voucher. Audit headaches are minimized / removed. Each and every change of a voucher is maintained – giving a complete audit trail. Know who edited what and at what time. GAINS has a full-fledged reporting module for SALES. Tables and Graphs (for $$ Amount or Quantity --- and for Actuals / Budgets) can be got for items (products) --- month wise / company wise / geography ( region -- country – state – city) wise ; industry wise ; margin wise ; top 5 or 10 wise. Sales Analytics are far better in GAINS as compared to Tally (almost absent). Multiple graphs and pivot tables are provided for a fast visual understanding of the firm’s Sales profile. GAINS has a full-fledged CRM module wherein one can track prospective and existing clients. Business Development personnel can run campaigns through mass emailing and SMS. The CRM module is a strong value add and has a complete separate access level. Vendors / Clients can view their statements of accounts online or through their registered mobiles. No chance of not having the latest invoice / order etc. They can also access product details on the web (catalogue). Overdue reminders can be configured to be auto sent by the system via email / mobile notifications. Tally currently has no such comparable CRM features. Cost centre treatment in Tally is rudimentary. GAINS allows for a more detailed and advanced cost centre treatment (hierarchical three level cost centres with related exception reports and cross tabbing). GAINS handles foreign currency at a very advanced level. Tally has no concept of reporting currency or ledger currency – both of which are fully incorporated in GAINS. One can view the entire accounts in Rs / US$ or alternate currencies based on automatic conversion got from exchange rates masters. GAINS also plans to introduce “Gold” as a currency – very useful for jewelry traders (UAE). Till recently, Tally had no concept of Schedules. GAINS allows categorization of ledgers under Schedules and allows representing these Schedules in the BS and PL reports – as is customarily done by most auditors / firms. Schedule VI is easily created in GAINS. 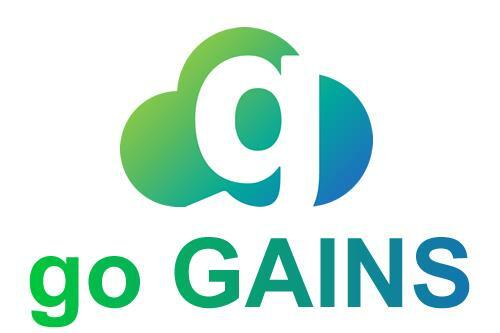 GAINS allows user defined templates to be made for Balance Sheet and Profit and Loss Statement. This feature is a huge benefit for Auditors as they do not require to do excel manipulations for preparing the final BS / PL reports. Tally has no such feature. One of the strongest features of GAINS is that it is mobile enabled. If the user’s mobile is registered he / she (or the Auditor / Chartered Accountant) can view various reports like AR / AP, Cash flow, BS / PL / TB / Schedules and also drill down till the voucher level [ and also view the supporting scans / attachments]. Vendors / Clients can also review their statement of accounts and access their invoices, orders etc. at any time – every time. This self serve option provides immense flexibility and ensures that all stakeholders are on the same page – not requiring to sent email requests for data. GAINS is developed on SQL 2016 and being non-proprietary allows for a seamless integration with other third party software (like Payroll / ERP modules etc.). Tally has its own proprietary database and a restricted xml export feature has been recently introduced through ODBC connectivity. In short GAINS is more mobile and easily exportable to other applications. Tally is NOT user friendly and one needs to remember key strokes ( e.g. Alt+F2 / F2 for change of date etc.). GAINS is very user friendly, colour coded and akin to a modern web / windows based system. Shortcut keys (though available) are not required as the entire system is graphical and intuitive. Navigation is much better and user can jump from one view to another very easily. Example : one can navigate to the last 10 vouchers through the click of a button in GAINS. Tally does not remember your transactions. GAINS is many levels ahead of Tally in terms of visual representation. GAINS uses SQL 2016 and hence can process ’000s of transactions with ease. GAINS has been tested for more than 100,000 transactions per year and for more than a million vouchers (10 lacs) for a firm. 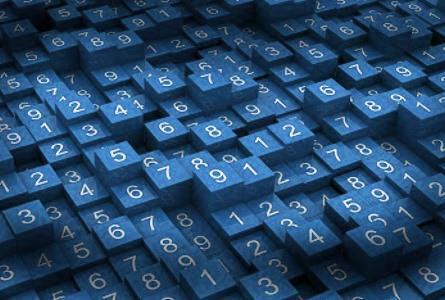 Tally tends to slow down if the number of transactions exceeds 50,000. GAINS provides multiple formats for Ledger Print including a tabular excel format. In general reports are better formatted and options for tabular cross tabs (pivots) have been given wherever applicable. The reporting module for GAINS is far more extensive than Tally. Calling forms allow for better filtering and report access is also controlled through the security module. GAINS can be programmed to email reports at defined intervals. For example : Registered users can be sent a summary of transactions every day at 5pm. At 9 pm every day (or every Friday or every other day) an email can be sent which has links to the BS / PL / TB / Cash Flow / GL reports. Different reports can be sent to different users. Alternately (or simultaneously) reports can be generated weekly or monthly and stored on the user’s common drive. Access is controlled and reports are available on demand. GAINS has an extensive Audit module. The system tracks each and every change made to a voucher / ledger opening balances. Auditors can lock vouchers / mark vouchers which require further clarification / lock periods etc. If changes are made after audit – exception reports can be generated which would list out changes made after the audit date-time stamp. Tally has audit features but they are not remotely as comprehensive as those in GAINS. Tally licenses are approximately Rs 18,000 for a single user and Rs 40,000 for a multi user license. GAINs offers a far better value proposition. Tally is currently far more popular than GAINS -- We thus take the extra effort to exceed expectations. GAINS has an inbuilt utility wherein we can import all Tally data ( up to voucher level) in within 1 day (usually within 2-4 hours). GAINS is customizable easily (being on a non-proprietary database). and is 100% xml compliant – which is to say that we can talk with other third party apps through apis or other-wise.